Now comes the dilemma. to S or not to S? Discussion Forum Leica S System Leica S (Typ 006) Now comes the dilemma. to S or not to S? I have a S2P that’s been a great camera. It has served me well both commercially and personally. In short, it is my favorite digital camera to date, and may be my favorite camera ever. I have 4 CS S lenses and use a Hasselblad HC100/2.2 on it also. Dual shutter makes this a very versatile camera for me as I also use lighting a lot, but also love available light with these fast max aperture lenses. The Dilemma: (sorry for the longish post). Leica will be doing a trade in program that allows $5,000 in trade for any DSLR toward a S camera. This promo could be one of two things: either to reduce inventory of S bodies in anticipation of a new S camera, or to become more competitive with the body in order to sell more lenses. I think it is the former, and something new will be announced at Photokina. Probably CMOS based … and most likely a CMOSIS made sensor to Leica’s specific specifications. I suspect the new S would ship first quarter, or early second quarter of next year if all goes well. I’ve made no secret that I favor CCD rendering. I’ve owned a great number of CMOS based cameras from Canon, Nikon, and Sony that I tolerated for their functionality and versatility, but never loved the IQ all that much. While I loved the M camera’s new accuracy and functionality, I hated the CMOS color rendering no matter what I (or anyone else) did in post. After two weeks with a demo, I sent it back … which bummed me out considerably. I fear the same will happen when the S goes CMOS. I do understand this is a highly personal point-of-view, but one I cannot shake based on quite a bit of previous experience: Kodak ProBacks, Hasselblad H cameras, Leaf Aptus backs, and of course the S2P … all CCD, all well loved and appreciated for their color rendering and Image Qualities. Heck, I even had a Contax N digital that used a 6meg FF Philips CCD chip that I liked better than any of the then contemporary CMOS camera. To date, I have not been all that impressed with the Phase One IQ250’s look and feel. That is subject to change, but for now it confirms my concerns. Now I am considering taking Leica up on their promo deal to perpetuate what I love about the S2P for at least the next 3 to 4 years … plus gain a few of the functional improvements the S brings to the party … most of which I consider marginal, but useful in real world terms. The S warranty is apparently 1 year, but can be extended to 3 years … but at what cost? It isn’t that there is anything wrong with my S2P … and I’d love to add the CS45/2.8 and Elpro for the 180, but can’t do both financially. well, what was the question? If you want to spend another 15 k or so for a second camera body? Or for one alone, giving away the S2P? Personally i don’t think a new S3 will bring much improvement, if it is only a new sensor and nothing more baluable. So there will some bodies come to the market in the 5-7 k range, as now, but not that much. Personally I would stay with the S2P till it breaks and see later what the new camera brings along. Anyway, the prices of S/S2 will not go up, but down so you are on the bright side of life if you wait. Could be either … if I sell some other stuff, I can keep the S2P … if not, I fear the S2P will not garner what it is really worth on the used market. Actually. $15K would buy a few very nice trips to use the S2P … which is the real competition against doing this. 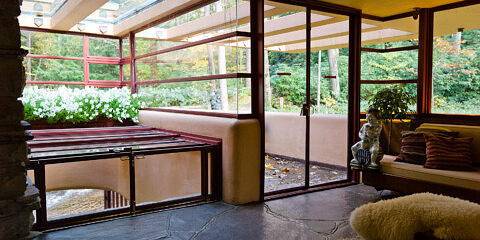 In fact, I could spend the next winter in the Tropics, instead of huddling in the house here in Michigan. What a brutal winter this has been. Time to read David’s fine comparison of S to S2 again. With your preference for CCD you can easily justify the S with this trade in. However, if I were to to this I would trade in my old Pentax 6×7 not my S2. I would try and sell my S2 on my own. Or use it as a backup. In 4 years of pretty hard use, I never had a glitch with my S2, other than the dimming top display they fixed for free and kindly provided a loaner. So I never lost a shoot. Net I really never needed a backup camera. So if it were me I’d sell. You may feel differently. Am I helping you here? After your tough winter, you deserve a nice fresh S.
I just ordered a new S through the promo to replace my S2-P which I sold last year…and have not been satisfied with much else in the interim. The deal really brings the camera back into a competitive standing in my opinion price wise. I ended up trading off a lot of stuff and do not think I will miss it with the new body. According to Sean at Camera West the warranty is 2 years … and should be able to be extended … not sure if it is the overnight loaner deal on the S2-Ps but if you are doing less commercial stuff that may not be as important to you. The 45 sounds great but I believe you have the majority of the lenses around that focal length? The elpro may be worth the small expense for your 180. I actually downloaded a couple of DNGs from here and looking at the 1600 iso shots I will have little need for a CMOS(is) chip…as I will only be looking at the CS lenses – well the 120 TS is not available as a CS but otherwise I can drag my Bron Mobil A2L along if I need it. The new joystick control, ISO in VF, and faster buffer alone may make the camera seem more alive … functionally the older S2(-P) was great. I would vote for the new S and Dunedin rather than the tropics…at least next year. As part of its centennial celebrations, “100 Years of Leica Photography,” Leica Camera is pleased to offer the S-System Trade Up Program effective April 1, 2014 through June 30, 2014. Through this program, customers can trade in any SLR camera or medium format camera (film or digital) towards the purchase of a new Leica S (Typ 006) digital medium format camera and receive a $5,000 instant credit. 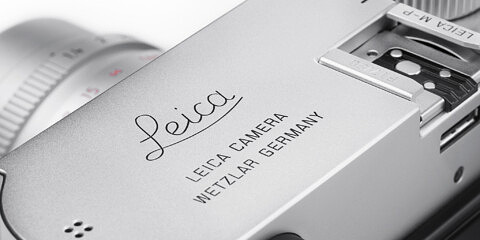 Please note that only one instant credit can be applied to each new Leica S (Typ 006) purchase. If I sell the S2P it’ll be privately because it is actually a bit newer than the purchase date indicates since Leica replaced it when the sensor cracked on the previous one. For most of its’ existence, this camera shared duties with a Hasselblad H4D/60, and I’m a very deliberate type of shooter, so the shot count is pretty low … making it a very nice camera for someone looking to get into the S system. Bob, thanks for sharing your thoughts. My experiences mirror yours in that not much else satisfies … and now this is the only CCD camera I have other than the M Monochrome which is a camera unto itself, and does all those low light shots which I prefer in B&W anyway. Like you, I take my mobile lighting kit (Profoto 600B) and use the CS lenses to great benefit. Often in low light, but as much as in bright ambient that usually spells the end of a shoot rather than a new creative opportunity. Profoto AIR actually syncs to 1/1000, and I cannot tell you how useful that has been at times. I’ve saddled myself with an array of gear that suddenly has far less meaning after making the decision to phase out the “for pay” work, especially weddings which has become a jinky-winky business anyway (besides, I’m getting to old for that sort of thing anyway). I’m also now way over equipped in my studio and have a ton of pro lighting gear like Profoto D4-2400R, Hensel Porty 1200L generators that are justing there. I think I have more modifiers than B&H … LOL! Maybe the better question is where the heck do I wholesale off all this stuff? Still thinking, where there is a will, there is a way. Rancho Mirage and Walnut Creek…. Might be worth the effort…and I have sent and received huge amounts of stuff…dollar wise and number wise. He recently quoted me an amount which I deemed generous but he sent me another email correcting what he thought was a low evaluation of the value…some 20% higher…without any input on my part. I updated from S2 to S last year, I think besides the obvious changes there are also small improvement which should mean the camera is even more reliable. C-AF is improved from being not usable to being usable for slow subjects. (Helps for my kids, even though they re not really slow). There is a slight ISo advantage and slightly improved color. You also get the gps which is a nice gadget. I am pretty sure we will see a new S a photokina with CMOS. Like you I wasnt totally happy with the color of the new M. I then rebought a used M9p, just to find out that the differences in color between the M9p and new M are not so clear as I thought to remember. I sometimes prefer the M9p output and sometimes the new M output. The fact that I still own both shows that I was not able to make up my mind yet. In regards of the S: I dont use flash/studio light usually so better high ISO wouls obviously extend/improve the usability of the S for me. However I also do not want to make any compromise regarding color. I know that as soon as the new S is announced and available the price/value of my used S will decrease significantly. However – I am not brave enough to sell it these days. I will wait for the announcement and test one and decide from then. In your case…I really dont know if I would pay the extra right now if you have a reliable S2. If you wait for the announcement and first results from the new S, you can decide at this point if you get the current S or the new S3. The only reason to get the S now is a) you dont want to wait or b) you think the 5k offer is limited time and prices will go up again later. By the way I received my 45mm 2 weeks ago and like it a lot so far. Its a great focal length for what I do. Thanks Tom, I truly appreciate such openly candid thoughts. Yes, my biggest reluctance is because my S2P is reliable and delivers the image qualities I prefer. AFc is not something I would use whether improved on the S or not. I’ve never even used it on cameras that are great at it. GPS holds little to no interest. I checked used values on my S2P, and they show the same type of “drop off a cliff” prices that I enjoyed with the Hasselblad gear in past : -(. The difference then was that I used the gear for commercial work and was charging a digital capture day rate, and writing off the depreciation. A luxury that went bye-bye when I decided to retire. I do think the $5K promo offer has a time limit. Whether they’d repeat it, or prolong it would depend on whether it is designed to deplete inventory in anticipation of the new CMOS S (type-?). The notion to wait has always been a good idea in these “digital days” … the primary value of the S2P is in the using, and how much it will depreciate before hitting the lowest price plateau can be that far from where it is now. If they dropped to $5K, heck I’d get another one … LOL! The only hope I hold out for a CMOS S is that it wouldn’t have to accomidate the flange to sensor distances that the M(240) had to deal with, and the resulting weaker IR filter. I cant make you much hope for better response S-AF. Lately I have found that the AF hunts quite often. Leica said the AF is improved but I cant confirm this from my experience. Good thing the viewfinder is so big that I can sometimes switch to MFocus. In the end it is a lot speculation if a new S will come at Photokina, which sensor it would have and if it will be cmos how it compares to ccd. Normally I am one of those who bases decisions on facts and not so much on future speculations. Life is kind of short to allways wait for the next end better thing. One thing for sure-I really like the IQ I get from the s-system. I haven’t had much issue with AF hunting, except with the 120 which has a longer throw due to being a Macro. I usually manually focus that lens. I agree that life is too short to speculate on what may be. In this case I’d rather call it pre-planning because I’m getting up there in age, and moves made now are ones I’ll probably have to live with financially for a good amount of time. After all this excellent common sense advice and thoughts on the subject, I’m inclined to stay the course with my S2P … as you say, I love the results, and they are a known. The most important aspect is that this system is dual shutter, so even if other things come along with great IQ, I seriously doubt they will match up with this important feature for me. Now to start planning next year’s winter escape … LOL! Marc,I think the S is an excellent camera,a polished version of the S2,and given that your a fan of CCD rendering I doubt you would be disappointed with an S,I think the AF is better too,I can AF wide open at 3 meters for portraits and its on the money almost every time. I think we will see wifi in the next S with an iOS app to control the camera,apart from that just more resolution and live view. The trade-in promotion goes from April 1, 2014 through June 30, 2014. Any SLR camera may be traded in for the $5,000 credit. So, yes, Jack could trade in his Pentax 6×7. Or, you could trade in an old Nikon D70. Doesn’t matter. The warranty on the S (Typ 006) is 3 years. It is fully transferable and includes a loaner camera during the duration of any repair, delivered within 24 hours. Essentially, the S (Typ 006) warranty is the same as the Platinum warranty, but for a full 3 years, instead of the 2 years that came with the S2-P.
To throw our own hat in the ring, I’d like to remind everyone that we (Leica Store Miami/Dale Photo & Digital) are one of the best sources anywhere for the Leica S System. We have close connections with product managers in Germany, an ongoing dialog with Leica service and support here in the US, lead S System photo workshops and, most importantly, actually shoot extensively with the system ourselves. Wehave even engineered our own Leica S accessories when no such solutions existed from Leica. The S has been a personal passion of mine from the moment it was announced. For trade-ins, we give 80% of market value. We are completely open and transparent with this policy so that everyone is on the same page and gets the best deal possible. If we think a customer would do better selling on their own, we advise them as such and will offer guidance on the best approach to do so. Marc, it sounds like you’ve already decided to stick with your S2-P.
Buying the S now would set you back about 7 or 8 thousand. I’m estimating you’d get 8 to 10k for your S2-P if you sell privately. For that you get a brand new S with the extra bells and whistles. And your three year warranty is running out. We don’t know what the colors on the expected CMOS S will be like, but it’s certainly not a given that the colors will be like the M colors you don’t care for. Who knows? I suspect that if you’d like the files from the CMOS, you wouldn’t mind having live view and higher ISO possibilities. If you wait another year or so, you’d get maybe $ 5-7k for your camera. Add another ~ 15k for the new CMOS and you’d be good to go for a number of years, provided you’d like the files. If not, you could probably buy the S for about the same price as the offer that now stands. So it boyles down to spending 7-8 k now and be done, or wait and see and later on spend the same as now for the S or twice that amount next year for the third generation S, which will probably have a few nice improvements. I’d stick to my S2-P and decide later, we might even see a new S in about a month in Berlin. Since reading about this offer I too have been in a bit of a quandary. Like you (well not really as an amateur), I also own, and have thoroughly enjoyed the S2P! Didn’t do the S upgrade as I didn’t feel the value was there. Opinions expressed are all very valid and I will continue monitoring the situation. Like Marc and others, I much prefer the CCD sensor. Having only recently traded my Phase kit on an M and MM and a bunch of lenses, I find the M great fun to shoot with its upgraded electronics, BUT skin tones in particular are lousy especially given the price! 😡 I have mostly been using the MM with great joy and it is also CCD! It IS a camera to own IF you enjoy B&W! All that said, I believe I will hang onto the S2P until we see what Photokina brings. IF its a CMOS sensor and IS proven to perform I MIGHT be tempted to buy one, BUT probably not give up the S2P with the CCD sensor. I know David is well connected in the Leica hierarchy but notice with interest his post talking about this offer. His silence on the CMOS speculation is deafening ! 😀 David, you’ll have to do some serious talking with guarantees to get me into this deal! LOL! I apologize for mentioning another site for trades…hesitated but assumed that your interest in non-Leica stuff might be limited. Marc is aware and for those who are not let me agree that you and Josh have been a wonderful source of S Leica information and support…I had one of you original P67 adapters with my S-2P. In fact, I returned here to search out S DNGs in assessing the new camera after learning about the rebate. Again looking forward to working with you and Leica Store Miami in the future. i wonder if you guys have tried C1 with the new M? it seems to produce less pinkish skin tones compared to LR. Jim S;6137 wrote: Great thread Marc ! I didn’t mean to skirt the issue. I don’t have a crystal ball, but I highly doubt that there will be a new S announced in April. It just doesn’t fit with Leica’s pattern of product introductions to date. I’d say there is a good chance that Leica will do something for Photokina. They always do, but what it is exactly, I don’t know. Perhaps an S-sized CMOS sensor from CMOSIS is in the works. Perhaps it’s just wishful thinking on the users’ part. Leica used to drop hints. Now, they prefer the veil of secrecy and the element of surprise. I’ll be at Photokina (as always) to report on whatever comes our way. Sorry we don’t have any more insight…. Bottom line: if you like CCD and the S produces the quality of file you want and like, now and in the foreseeable future, the added features, better UI, higher res screen, more intuitive navigation, larger buffer, additional viewfinder info, virtual horizon, onboard GPS, improved AF, expanded ISO range, increased DR at base ISO and 3 year warranty might all add up to a reason to upgrade while the promotion is still in effect. The S2 is great. I love all the files I shot with it over the years. It is a fantastic camera to hold and use. The S (Typ 006) is just a natural evolution of the S2. It addresses some shortcomings and improves upon an already awesome camera system. No worries. We take trades of just about anything of value. No, we’re not super keen on $200 point and shoots or 3 generation old consumer DSLRs, but we routinely take in a wide variety of used gear. High-end Nikon, Canon, Hasselblad, Contax, Phase One, etc. all make their way through our doors, in addition to the usual flow of used M, S and R gear we specialize in. Again, please don’t sweat it. You could make far worse recommendations than Sean at Camera West. He’s a great guy and an honest dealer. We finally got to meet each other in San Francisco this past fall at the LHSA Annual Meeting. Actually, since I’m not likely to be an early adopter paying a commensurate price for whatever is announced, and seeing that I love the look of the current S2 ccd with the S offering refinements plus somewhat enhanced performance, and then add the 3 year hot swap warranty, the offer does have attraction, for a working pro. I suspect the big animal will be a new Leica M Monochrome. The MM turned out to be such a great idea, but had some flaws easily improved upon (bigger buffer/faster writing time, etc.). I could see a MM 24 Mpx (CCD I hope) with a bit better internal hardware. I don’t think they will roll out a new S otherwise there will be some seriously angry people that were lured into purchasing a new S to clear inventory…only to discover they got the newest old model (I’d be one of them). On a separate note…anyone seen or tried the Sinar p MF-L? I am all kinds of interested in this setup since I have a Sinar P.
As a follow up, I have a CS45 mm winging its way to me to try out. I suspect that focal length will be my “one lens” walk about since 35mm focal length is what I favor on a M or any other 35mm camera. It may be a bit close to my CS35, but we’ll see. I may have to sell the 35 and replace it with a CS30. The 24 and zoom are a no go for me … all the lenses have to be CS versions. I am sure you will like it!!! Yeah, headed that direction myself. 45CS delivered today. Jeeze, this stuff is just so beautifully made. Never ceases to amaze me. Can’t wait to press it into service. fotografz;6161 wrote: 45CS delivered today. Jeeze, this stuff is just so beautifully made. Never ceases to amaze me. I doubt you’ll be disappointed.. 😉 I have this lens..it’s superb!! Marc. I don’t know what you decided but I decided to S from S2. Glad I did. After the move to CMOS for the (007), and not liking the cosmetics of the SE, I decided to grab a (006) while a new one could be had. Sold the S2P to a friend for a good price, and the move cost me less than I expected, so it was a no brainer. Three more years of coverage, and the CCD look I prefer. Already shot an Oct. 4th wedding with it using off-camera strobes, and did a commercial job for GM just today with it in studio. I like the 100, 200, 400, 800, 1600 ISO progression better. I used ISO 800 a fair amount at the wedding and it was surprisingly better than anticipated. So, I’m glad I did also. Yes. I also made this switch about 4 months ago. Very glad I did for the same reasons. 3 years of warranty with a refined version of the S2. I followed your lead and just got the S 006 from Josh at Leica Miami. But so was the price now that the 007 has been announced and kept 006 prices down. Not sure that there are many left to be had in the US at this point. The 006 is all around crisper to handle and shoot. the AF is allowing me to switch back to the regular view screen. I sent a request for a detailed comparison of the S typ 007 and the S-E (both new models I presume). Given the astounding price difference, there must be significant compromises with the S-E, and I’d like to see the complete list. I just unboxed my new S-E after completing a great deal with Leica UK. I’d had some problems with the S2 and they were sympathetic, I believe. A question: has anybody found a magnifier that will allow inspection of the sensor for dust ? I’ve found that shooting a plain blue sky, or plain white sky possibly, then viewing at 100 percent, you can see even the smallest dust. Yes, I’m clear on that, but I’d like to see the sensor itself when I’m cleaning it with a blower, or sticky lollipop. Do you inspect via the LCD when cleaning ? I often use Hasselblad V lenses and I suspect they carry more dust into the camera, even after rigorous vacuuming. The Leica repair centre here, shoot a file and inspect files on a iMac …… remove the lens, clean the sensor, inspect another file ….. And repeat. quite hit and miss, I feel. I didn’t try cleaning the ‘S’, but when I cleaned the Monochrom, after using a blower, a lot of stuff just wouldn’t clean up. My inquiries got me the following advice: “Send to Leica for cleaning – the M series shutter etc. throws a lot of stuff onto the sensor” – quote approximate. The thing is, unless you’re already an expert in cleaning those sensors, you’re likely to be disappointed. I agree that the hit and miss approach is really painful and slow, but unless you have a “clean room” to work in, changing lenses will bring in more dust. I take it you want the sensor to be so clean that no spots will show when viewing a blank sky or wall at 100 percent. I don’t see that being possible with a camera having moving parts inside, shutter, mirror, whatever. You can vacuum and get the sensor perfect, but get to work and change one lens, and dust will re-enter. I got the M clean enough, then just monitored it occasionally afterward to keep the spots within reason for post processing fixups. done and have the camera at your side not…on the way to or from NJ or Solms. Need to exercise a bit of discretion and a modicum of physical acuity and restraint…dont dig at the sensor but they really are not as fragile as most suspect. Lens changes should be done with the camera off and inverted….if the lens is clean the amount of deritrus introduced is minimal. And thank Adobe for the healing brush…for those little elements that may exist on a long holiday or wild landscape safari…. tripod … use a sensor scope and plan on throwing a number of swabs out to get a decent result. Bob, I won’t disagree that you can clean the sensor very well, but based on everything I’ve seen and read, it won’t stay perfectly clean for a full shoot unless you don’t change lenses. Assuming of course the entire interior is spotless along with the sensor. I’d like to hear how it goes when the OP gets it where he wants it and then goes to work. BTW, I’ve never felt the need to do anything except clone out spots the simplest way, since any that occur (assuming there aren’t a huge number of spots) over top of texture/detail are usually invisible. Edit: But if I were doing a tabletop copy of Her Majesty’s jewel collection, or an original Rembrant etc., then I’d worry about the small stuff. Thanks for the links, Bob. I have the original Quasar LED Loupe, but it can’t focus on the S sensor. Which loupe do you use ? I’m not looking for perfection at all, but I’d like to look after my own camera and preferably just use a blower on an upturned body.